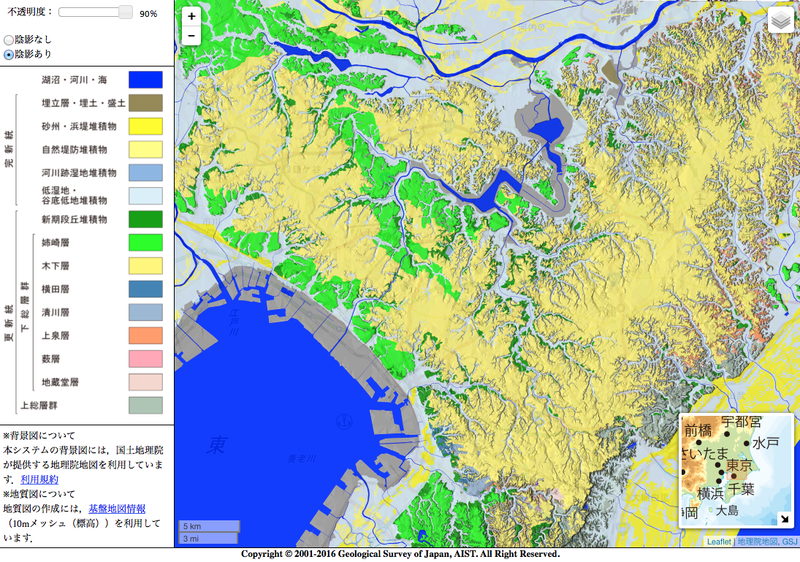 This page explains the datasets used in the Urban Geological map. Standard borehole data are obtained from drill surveys conducted by GSJ, used as standard stratigraphic data in correlation procedures. The datasets represent stratigraphic divisions based on lithofacies, tephra, and microfossil analyses and radiocarbon dating. Most of the datasets include PS and density logs. 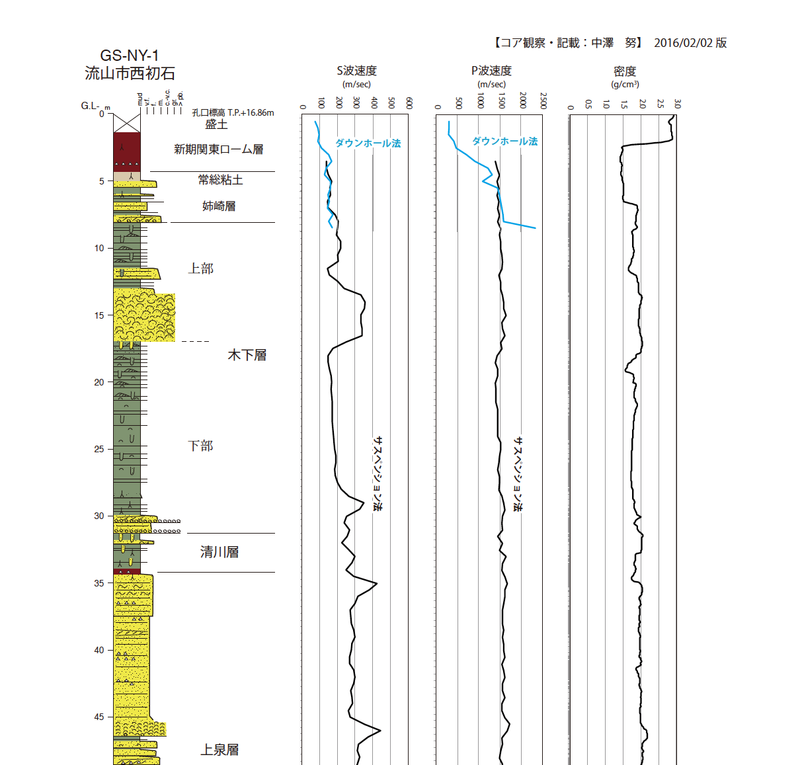 Borehole data can be browsed and downloaded as a hand-drawn geological column (PDF) or in a specified style (PDF or XML) in JACIC format. The 2D geological map uses color coding to represent the distribution of geological strata on the Earths surface. The map is drawn by computational analysis of the 3D geological model based on the stratigraphic and geomorphic data. The 2D geological map can be generated at a scale of 1:25,000 or less. 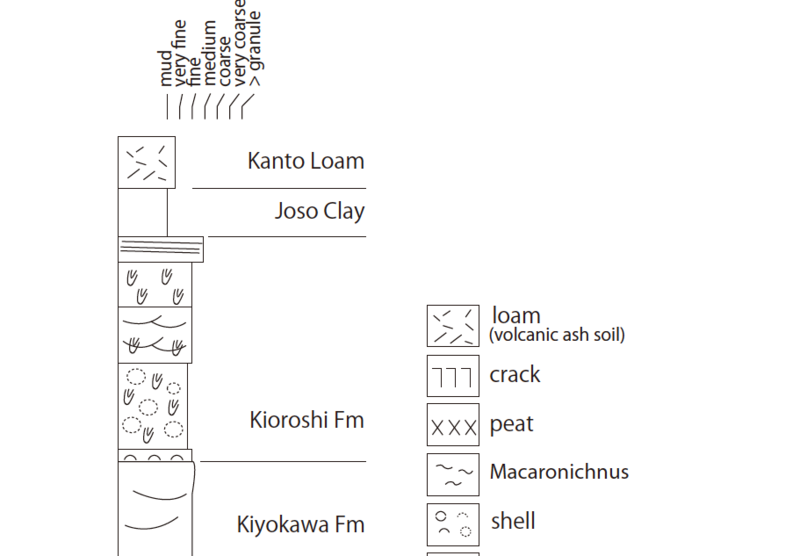 Soil layers, such as the Kanto Loam and the Joso Clay, are omitted on these maps. Outcrop data consist of geological columns representing lithofacies, marker tephra layers, and stratigraphic divisions. Stratigraphic research has been carried out on the basis of outcrop observation in the uplifting margin of the Kanto Plain. The stratigraphic data of the outcrops greatly contribute to constructing a 3D geological model. Outcrop data can be browsed and downloaded as a hand-drawn geological column (PDF).